full income tax exemption (principal residence exemption) because the property was your principal residence for every year you owned it. Starting with the 2016 tax year, generally due by late April 2017, you will be required to report basic information (date of acquisition, proceeds of disposition and description of the property) on your income tax and benefit return when you sell your principal residence to claim the full principal residence exemption. 1. What is the principal residence exemption? The principal residence exemption is an income tax benefit that generally provides you an exemption from tax on the capital gain realized when you sell the property that is your principal residence. Generally, the exemption applies for each year the property is designated as your principal residence. 2. What is changing about the reporting of the sale of a principal residence? 3. Why is this change being made? This change will improve compliance and administration of the tax system. 4. 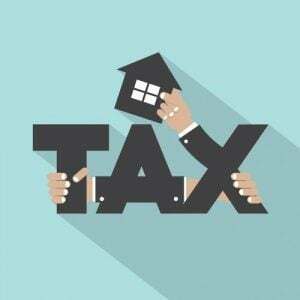 Prior to this change, what did you have to report on your income tax return when you sold a property, in order to claim the principal residence exemption? property as a principal residence by an individual (other than a personal trust), would have to be filed with the individual’s T1 Income Tax and Benefit Return. The representative of a deceased person would have to use Form T1255, Designation of a property as a principal residence by the legal representative of a deceased individual instead. 5. Did this administrative practice extend to trusts? The CRA’s previous administrative practice did not apply to trusts. Trusts that designate a property as a principal residence for one or more tax years must complete Form T1079, Designation of a Property as a Principal Residence by a Personal Trust and attach it to their T3 Trust Income Tax and Information Return for the year in which the sale (or deemed disposition) occurred. 6. How will I report the sale of my principal residence on Schedule 3? accordingly. Form T2091 (or Form T1255) will still be required for the designation in the case the property was not your principal residence for all of the years that you owned it. 7. What should I do if I sold a property and want to claim the principal residence exemption but I forget to report the designation of principal residence on my income tax return for the year of sale? b. $100 for each complete month from the original due date to the date your request was made in a form satisfactory to the CRA. be made in tax filings due by late April 2017) the penalty for late-filing a principal residence designation will only be assessed in the most excessive cases. 8. What do I report when I actually sell my principal residence, if I used part of it as my principal residence and another part for my business or to earn rental income? If only a part of your home qualifies as your principal residence and you used the other part to earn or produce income, you may have to split the selling price and the adjusted cost base between the part you used for your principal residence and the part you used for other purposes (for example, rental or business). You can do this by using square meters or the number of rooms, as long as the split is reasonable. 9. Does the new rule apply for deemed dispositions of property? a. You change all or part of your principal residence to a rental or business operation. b. You change your rental or business operation to a principal residence.